A reliable source for Drum Washers information and a resource for accessing leading Drum Washers and suppliers. 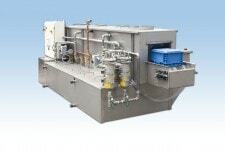 Drum Washers Parts cleaning systems are machines that act as one of the last steps in parts manufacturing. They are designed to clean, degrease and dry mass quantities of small or large parts before they are surface treated and shipped for distribution. The combination of hot water, high water pressure, cleaning solution and a rotating motion effectively cleans and sanitizes even the dirtiest industrial drums. After cleaning, they are used over again within the facility. When a drum is old and no longer useful, it is crushed down and recycled into another metal or plastic product. Drum Washers - Jenfab/Jensen Fabricating Engineers, Inc.
Before the recycling process, every drum must be completely cleaned of any chemicals or substances to eliminate the risk of contamination. Every drum washer is equipped with a filtration system, which keeps the tank clean and removes debris and grime from the water or aqueous cleaning solution. The spray nozzles are powered by corrosion resistant, high pressure pumps made of stainless steel and are angled at the drum's interior to ensure it is adequately cleaned. 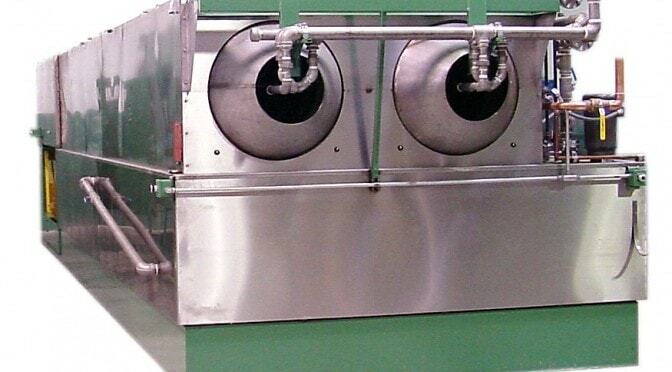 All drum washers have wash-rinse or wash-rinse-dry cycles that dry the containers via a heating system or air guns. The water and cleaning solution, which is either a solvent or detergent, is heated by electricity or gas to about 120º F. It takes about five to 15 minutes to clean a single drum.